Compact, economical unit with 12″ wide x 10″ deep x 10″ high work space. Temperatures to 200°C (392°F). Used where larger work space and higher temperatures are required. Resilient silicone rubber door gasket. 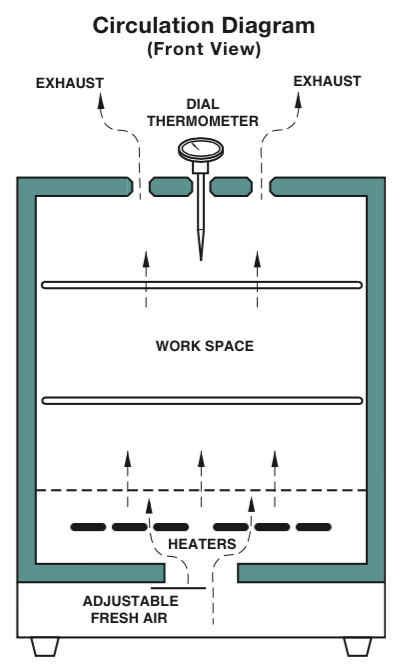 Work space measures 13″ wide x 13″ deep x 13″ high. Temperatures to 270°C (518°F). 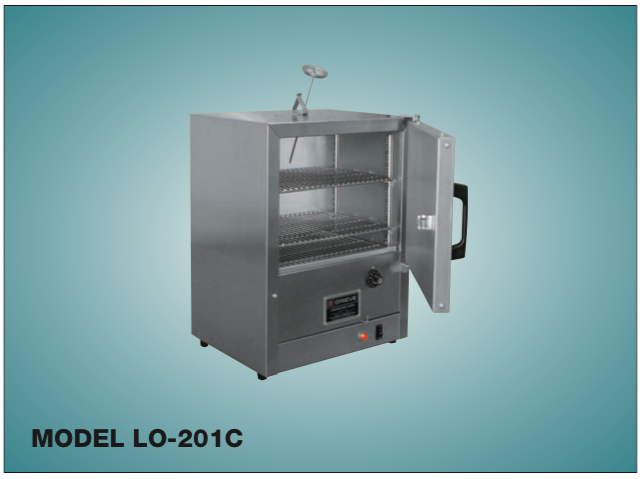 Largest laboratory oven affording more than twice the capacity of the LO-201C. Work space 18″ wide x 12″ deep x 16″ high. Temperatures to 200°C (392°F). Bimetal control thermostat sets desired oven temperature. Thermal cutoff limits maximum oven temperature. Red pilot light indicates heater operation. Top mounted mercury thermometer. Primary hydraulic control thermostat sets desired oven temperature. Second manual reset hydraulic thermostat limits maximum oven temperature. Red pilot light indicates heater operation. Top mounted mercury thermometer.